In honour of our 55th year as an independent nation (for all intents and purposes) on the first of October, here are 55 things you should know about Nigerian cuisine, 55 things I’m celebrating. Our cuisine is regional though with common elements of (leafy) stews and starches. Each region has characteristic dishes, with staples in the south made from maize/corn, yams, cassava/manioc or plantains. In the north, rice, millet and sorghum are very common. Nigerian Jollof is King. Not Ghanaian or Senegalese or any other. Thank you. We are the only African country to have pyramids besides Egypt. Of groundnuts. 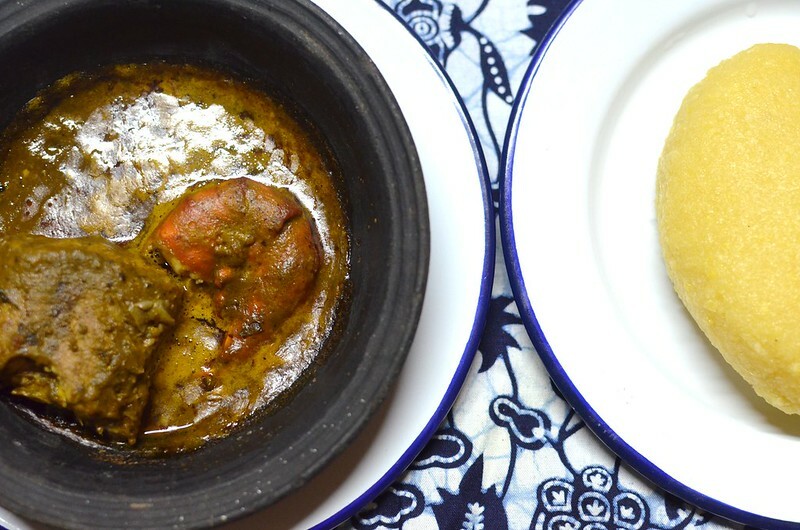 Banga soup – best served in a clay pot. With love. So there – 55 things you should know about Nigerian cuisine, in celebration of our Independence.